Somerset Farm is conveniently located off Hwy 55, just across from Walmart. This is a very affordable subdivision, but still gets a great price because of the larger wooded lots and setting. Homes range from ranch style, to 2-story homes. Square footage range between 1,200 to 2,300 and sell from $190k to $275K. 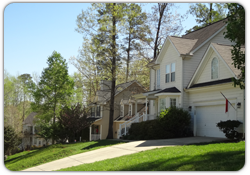 Features of living in Somerset include a community pool, tennis and basketball court and pond.